ilse is using Smore newsletters to spread the word online. John Dickinson, "Penman of the Revolution," was born in 1732 in Maryland. He was the second son of Samuel Dickinson, A successful tobacco plantation owner, and his second wife, Mary Dickinson, a Quaker. John Dickinson studied law at London's Middle Temple. In 1764 he joined politics as a member of the Pennsylvania Assembly. Then in 1765 he joined the stamp act congress. John also drafted the Resolutions of the Anti-Stamp Act resolution. He was elected into Continental Congress devoted to the Democratic-Republican Party. Dickinson was a delegate from Delaware to the U.S. 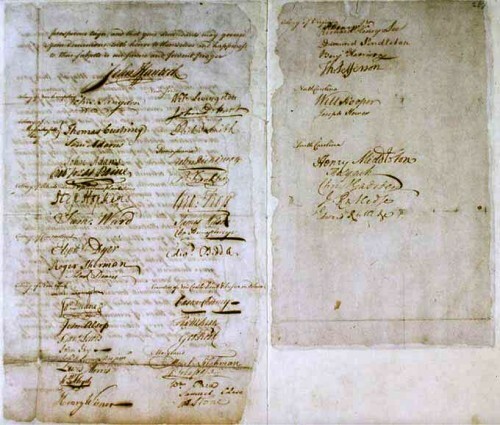 Constitutional Convention and supported the rights of the small states. John Dickinson wrote a number of essays known as “Letters of a Pennsylvania Farmer” they were published in the "Pennsylvania Chronicle" and were written against the Quartering Act, the Townshend Duties, and the Declaratory Act. In the essays he argued and urged resistance to unjust laws and the tyranny being committed by King George III, but also emphasized the possibility of pacific victory. As his written works grew popular, Dickinson received an honorary LL.D. from Princeton University. John was present at the First Continental Congress in 1774. He did not sign Declaration of Independence or vote on it saying the new country was not ready for a fight against the most powerful nation on earth at the time. Dickenson was Appointed General of the Continental Army; his military service was brief. Dickinson was far too ill when Continental Congress had to sign the Constitution. He had his colleague put his parchment on the document for him. John Dickinson also was appointed by Continental Congress as author of the Articles of Confederation, which served as a temporary "Constitution"
Continental Congress promoted the idea of the Olive Branch Petition, written by John Dickinson with the help of Thomas Jefferson, which was sent directly to King George III for a pacific outcome between America and England. 1. Integrity is an idea that one is consistent in actions, morals, and values, as well as the display of honesty and truthfulness in character. It is widely considered a virtue and one who shows integrity has a strong understanding of right and wrong in today's society. Dickinson was elected as one of Pennslyvania's first delegates in the First Continental Congress in 1774 and the Second Continental Congress in 1775 and 1776 and he continually made statements in honor of the Congress throughout his career, with his most famous one being the Declaration of the Causes and Necessity of Taking Up Arms. However, although he made such declarations in support of the America, he did not support independence from Great Britian, but rather the goal of uniting under the British Constitution. His actions at first seem contradictory, but he held a strong conviction against the revolution even through the creation of the Declaration of Independence, which he did not sign. Dickinson objected to violence as a means to resolve America's dispute with Great Britain and understood that by not assenting to the Congress's decision, "[it] will give the finishing blow to my once too great and, my integrity considered, now too diminished popularity." Through the viewpoint of an American radical, Dickinson's integrity would have seemed tarnished as he did not agree with the morals of many of his peers at the time. Some might have viewed him as a dishonest man through his support of Great Britain and subsequently his disloyalty to his own country. Nevertheless, Dickinson had values and beliefs of his own and in the eyes of the Loyalists his actions were justifiable and admirable, proving that integrity is a nebulous concept that is judged independently from one party to another, such as in the time of the American Revolution. 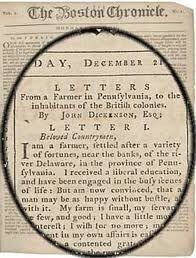 John Dickinson also penned the notorious "Letters from a Farmer in Pennsylvania" under the pseudonym "A Farmer" his written work helped to unite the thirteen colonies against the Townshend Act. Dickinson refused to sign and support the Declaration of Independence claiming Constitutional Congress was acting to rash claiming that it was preposterous to face the most formidable country at the time, England. Though he did not sign or vote on the Declaration of Independence as he didn't want separation from Great Britain and still hoped for reconciliation between the colonies and Britain, he had great citizenship from the American perspective and did much to free the colonies. He first joined politics in 1764 as part of the Pennsylvania assembly. After that he was part of the Stamp Act Congress in 1765, where he helped write the Resolutions of the Stamp Act Congress. He also wrote the Letters of a Pennsylvania Farmer, which were a series of essays over non importation and non exportation agreements against Great Britain and an address to the Inhabitants of the Province of Quebec. He was part of the first continental congress and in 1775, he and Thomas Jefferson wrote a Declaration of the Causes and Necessity of Taking Up Arms. During the war he was appointed as a Brigadier-General in the Continental Army, an admirable display of courage and loyalty to the American right to citizenship. Nevertheless, before his actions as a Brigadier-General against the English, he was ultimately for the reign of King George and did not desire independence from England. It could be reasoned he had dual citizenship, as he was loyal to both the morals of Great and Britain and America. He did not participate during the incineration of British Tea and other goods during the Boston Tea Party in 1773 neither did he harm or desire to kill the British. Instead he wrote pacific strong worded letters to King George stating his concerns about the unjust atrocities that Parliament and the King were tolerating. In addition he even became the author of the "Olive Branch Petition" along with Benjamin Franklin proposing peace and reconcilement with Mother England. "Articles of Confederation." Articles of Confederation. N.p., n.d. Web. 28 Aug. 2013. <http://www.sonofthesouth.net/revolutionary-war/political/articles-of-confederation.htm>. "Being Latino Online Magazine." Being Latino Online Magazine. N.p., 2013. Web. 29 Aug. 2013. <http://www.beinglatino.us/>. "Constitution of the United States - Official." 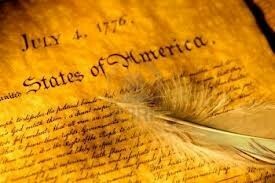 Constitution of the United States - Official. American Government, n.d. Web. 29 Aug. 2013. 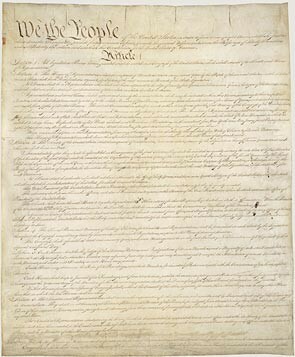 <http://www.archives.gov/exhibits/charters/constitution.html>. Hahn, Peter. "Non Importation Agreements." Encyclopedia.com. N.p., 2003. Web. 28 Aug. 2013. <http://www.encyclopedia.com/doc/1G2-3401803003.html>. "John Dickinson." Christian76. N.p., 2013. Web. 28 Aug. 2013. <http://christian76.com/john-dickinson/>. "JOHN DICKINSON." JOHN DICKINSON. N.p., n.d. Web. 28 Aug. 2013. <http://www.history.army.mil/books/RevWar/ss/dickinson.htm>. "John Dickinson." John Dickinson. N.p., n.d. Web. 29 Aug. 2013. <http://www.ushistory.org/declaration/related/dickinson.htm>. Mcdonald, Forrest, and Ellen Shapiro Mcdonald. "Most Underrated of All the Founders: John Dickinson." The Imaginative Conservative. N.p., n.d. Web. 28 Aug. 2013. 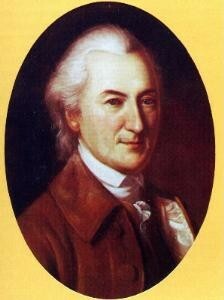 <http://www.theimaginativeconservative.org/2012/06/most-underrated-of-all-founders-john.html>. Pavao, Paul, Janelle Pavao, and Esther Pavao. "The American Revolutionary." Revolutionary War. N.p., 2013. Web. 28 Aug. 2013. <www.revolutionary-war.net>. "Wordnetsearch." Wordnetweb.com.princeton.edu. Princeton University, n.d. Web. 28 Aug. 2013. <http://wordnetweb.princeton.edu/perl/webwn?s=citizenship>. Ellis, Kirk, and David McCullough. "Independence." John Adams. HBO. Hollywood, 16 Mar. 2008. Television.